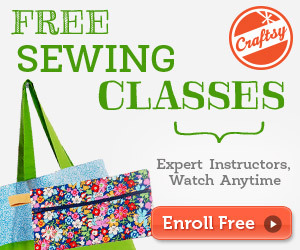 You are here: Home / Blog / Learn How To Sew: What Do You Need in Your Sewing Box? There are several things you will need close-by when sewing. There are some things, like needle and thread, your sewing machine, scissors and a pincushion you will need throughout every sewing-project you complete. Other items on this list you may not need often while sewing but you need them often enough to have them around. There are many types of sewing needles. See our post about sewing needles for more information. You want to have the most common sewing needles handy including sharps, bodkins and applique needles. An assorted pack from your local craft store should work just fine. Local craft stores or bigger names like Michael’s, Hobby Lobby, etc., will also stock assorted different spools and bobbins of thread. To decide how strong a thread you choose, keep in mind what type of fabric you are working with. If you are working on a very light cotton or fine synthetic material, the strength of the thread is not as important. If you are working with a fabric that is very durable, like leather or denim, you will need to choose a stronger thread. A pincushion and straight pins will come in handy when you are lining up fabric to a pattern or marking where you want the fabric to be when hemming or sewing seams. You can also make a straight pin path to guide your scissors when making precise cuts to fabric. An iron and ironing board may come into play when you need to iron fabric to make sure that its straight, wrinkle free and ready to be sewn. You don’t want to sew in the wrinkles on a nice blouse you are tailoring to yourself. You will need a tape measure to take measurements for sewing appropriately sized garments. A flexible sewer’s tape measure is preferred to a hardware tape measure. Keep a small notepad and a pen around to note down measurements. A fabric pencil is also a boon when noting measurements on delicate woven fabric you don’t want to poke too many holes in with a needle. Singer Fabric makes a great fabric pen and marker set. A seam ripper is also invaluable for taking out original seams (or accidental seams). You might need to rip out a seam when hemming pants or a skirt, upcycling fabric from discarded or vintage clothes or excising a mistake in your project. You will also need a pair of dressmaker’s scissors and a set of pinking shears. Pinking shears crinkle-cut the fabric, which lessens unraveling. These are used to cut inside edge of seams. Last but not least, the fun part: cute sewing patterns. McCalls and Simplicity are two excellent companies that produce fabulous and eye-catching sewing patterns. These brands are carried in most craft stores. If you want to make a fellow sewer’s day, swap patterns. Look at the patterns they have. Your fellow sewing friend will know which patterns work the best, which ones are easy to start with and which brands make patterns for her favorite style of clothes. Is one of your relatives an avid sewer? Visit them and sew together. 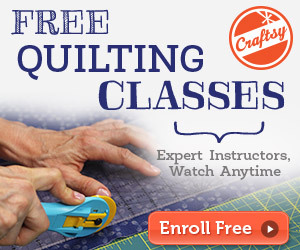 You would be surprised at how nice it is to escape to sewing with a family member and share craft time together.